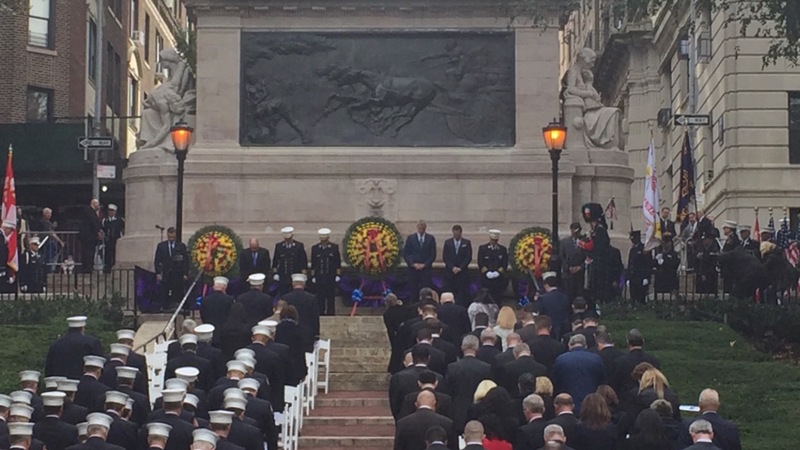 Today the Fire Department of New York City had their annual memorial service. More than 7000 firefighters gathered in front of the firemen's memorial to honor the five members of the fire department who have died since last November. Department Chief James Leonard commended them for their service saying, "they fulfilled their sworn oaths, they answered the call for help and duty and they made each one of us incredibly proud." Deputy Chief Michael Fahy was awarded two medals, one of which is only given to firefighters who lose their life in the line of duty. Chief Fahy was killed in a Bronx house explosion last month.